Fall has arrived and I’m obsessing about cold-weather companions: pull-overs to pumpkins, cashmere to cinnamon, and all things comforting. 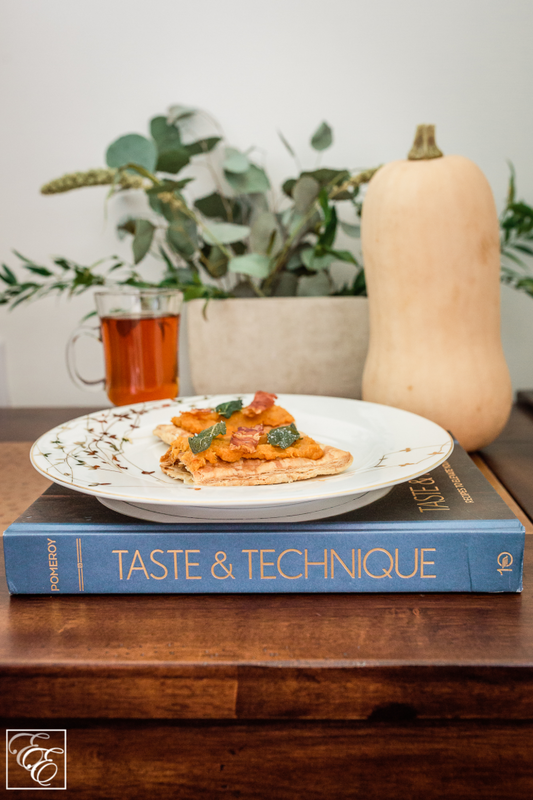 I’ve recently been happily immersed in Naomi Pomeroy’s debut cookbook, “Taste & Technique: Recipes to Elevate Your Home Cooking”. 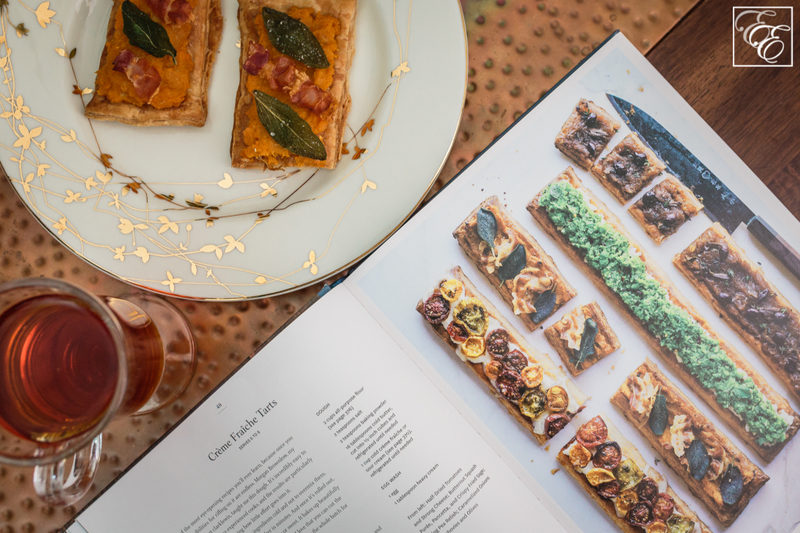 It’s a gorgeous, substantial (400-page) cookbook, chock full of entertainment-worthy recipes, each accompanied with a drool-inducing full-page color photo of the completed dish. It’s a versatile book: a coffee-table stunner, a trusty assistant in the kitchen, and an ideal bedtime reading companion. I taught myself to cook by burying myself in cookbooks (my version of a perfect night is curling up in bed with a cookbook and a hot drink: 1 T of condensed milk dissolved in a cup of hot water and generously sprinkled with cinnamon), so I was delighted to discover that Naomi’s cooking foundation was also from reading cookbooks (versus attending cooking school)! She has since spent 20 years as a chef in four restaurants, and is currently the chef-owner at Beast in Portland, Oregon. I’ll note that this isn’t a cookbook meant for busy weeknights or for someone who prefers simple, fast, one-pot-style cooking. It is best in the hands of an avid food lover – the person who loves strolling farmers markets for choice seasonal ingredients, and who enjoys (and has access to) a wide range of flavors and ingredients. It’s lovely for either a leisurely weekend cooking project or to wow guests at an elegant dinner party. Naomi precedes recipes with a narrative sharing recipe origins, flavor highlights, recipe tips, and/or recommended ingredient substitutions. She then guides us through the cooking process with reassuringly detailed instructions that practically guarantee success. Some recipes are master recipes, with vibrant seasonal ingredient variations. 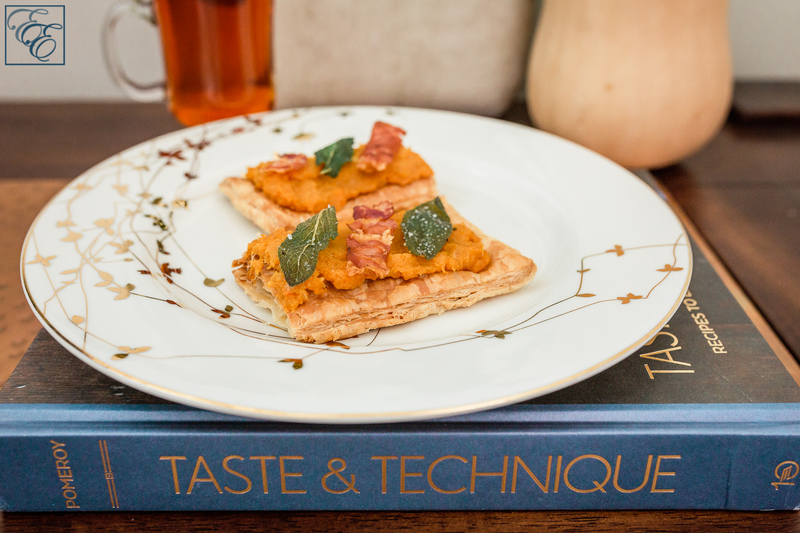 Throughout, she shares specific cooking techniques and gourmet presentations of choice ingredients that enable the reader to create memorable dishes that are as photogenic as they are delicious. 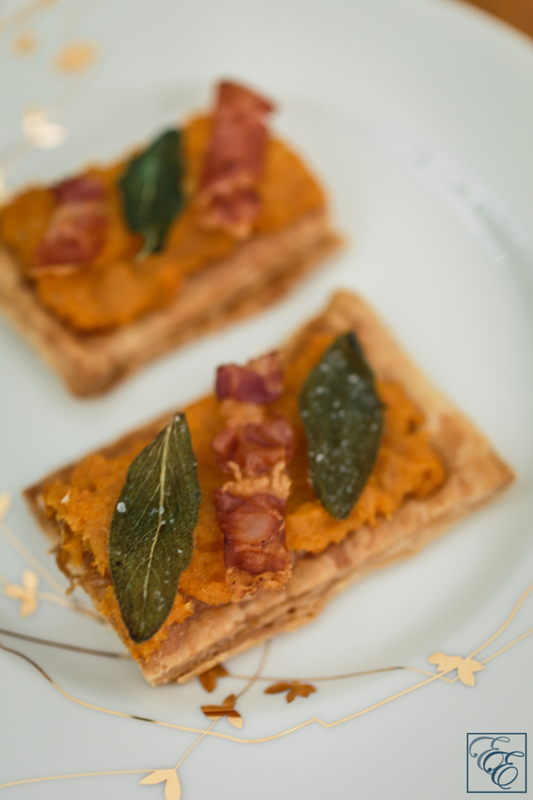 With my autumn frame of mind, butternut squash tarts gilded with buttery-fried sage and delicate ham crisps just begged to be made. It is one variation of a master creme fraiche tart recipe; other tart toppings include Half-Dried Tomatoes and Strong Cheese, Spring Pea Relish, and Caramelized Onions with Anchovies and Olives. 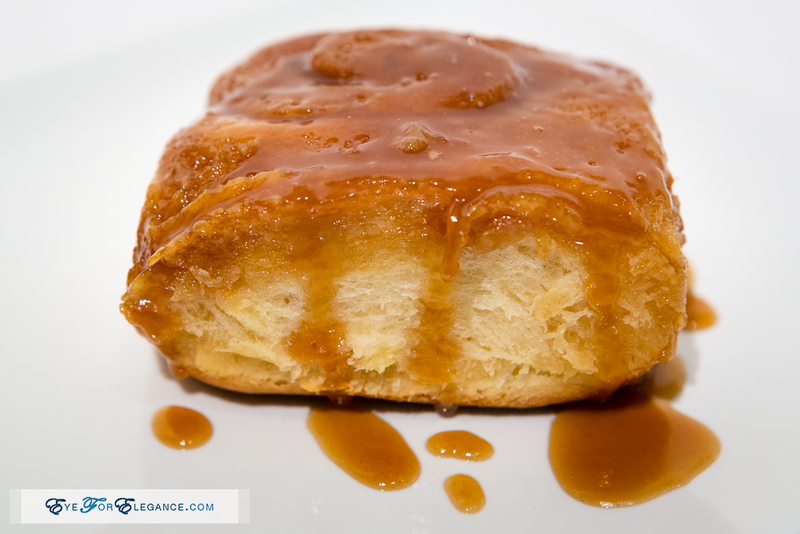 The book recipe starts with a master recipe for a tender creme fraiche-based puff pastry crust. My version here is made with frozen puff pastry for convenience, as having a 2-month old prevents me from having the leisure of making puff pastry from scratch for the foreseeable future. 😉 Besides tweaking the garlic cooking method (also simplified), I also added cinnamon, which contributes a subtle scent and flavor complexity. Cooking this will fill the kitchen with the buttery and sweet scent of sage and caramelized roasted vegetables. 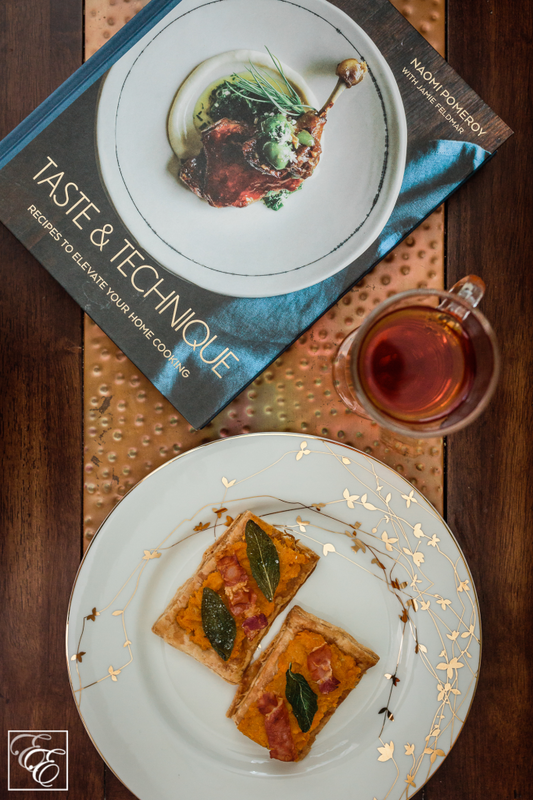 These tarts are flaky, savory, rich bites of warmth perfect for entertaining or for a light meal alongside a salad or broth-style soup. 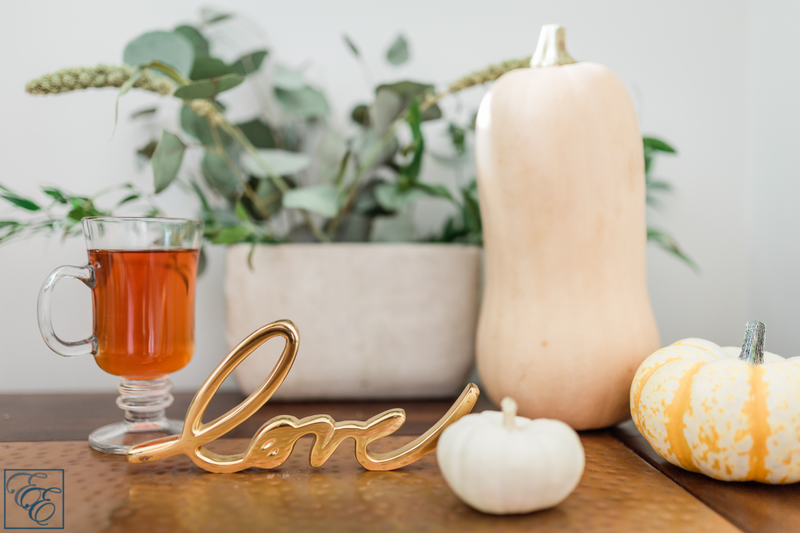 It’s a beautiful blend of fall scents and flavors – enjoy! Preheat oven to 375 degrees. In a bowl, toss the squash with 2 t olive oil and salt, and then spread the squash in an even layer on a baking sheet. Cut off the top 1/5 of the garlic head, set on baking sheet, and generously drizzle with 1 t of olive oil. Roast in 375 degree oven until squash and garlic are completely tender and can be easily mashed with a fork, about 25-35 min. Remove squash and garlic from oven. Squeeze out roasted garlic ‘meat’ into bowl. Mash/puree squash and garlic either in a food processor (for smoother consistency) or in a bowl with a fork/potato ricer (for a slightly-chunky consistency). Add cinnamon and mix well. Roll out sheet of puff pastry and make 3 cuts, lengthwise, to yield four long strips. Place on lightly-greased baking sheet and bake according to instructions (e.g. 400 deg for 10 minutes) until fully puffed and medium golden in color. Remove from oven. Pluck sage leaves from stems, wash and dry. Melt 6-8 T of butter in a small pot over medium heat. Fry sage leaves a few at a time (butter is hot enough when it starts bubbling around the edges of a leaf placed into it) until the edges of the leaf start curling and the leaf turns a deep translucent green. Gently remove from the pot with silicone-tipped tongs and let drain on a paper towel-lined plate. Sprinkle with sea salt while still hot. Slice prosciutto into 1″ thick strips. In a saucepan over medium-low heat, gently fry prosciutto slices until crisp. Drain on a paper towel-lined plate. Using a spoon and your fingers, spread a 1/3″ thick layer of squash and garlic mixture along the baked pastry strips, leaving 1/4″ of pastry uncovered around the edges. Return tarts to 375 degree oven for 4-6 minutes, until the pastry is dark golden brown. Remove from the oven and top with fried sage leaves and prosciutto. Cut crosswise into pieces and serve hot. 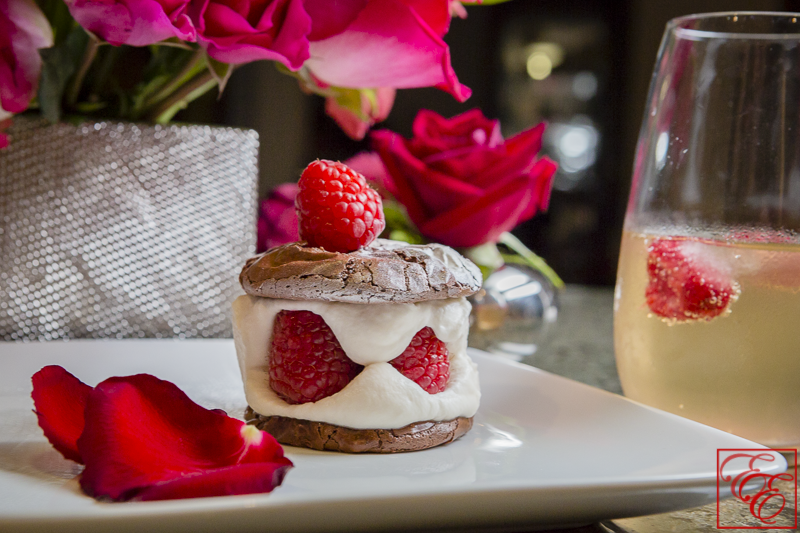 This recipe is just one example of the many stunning – both in visuals and flavor – dishes offered by Naomi. 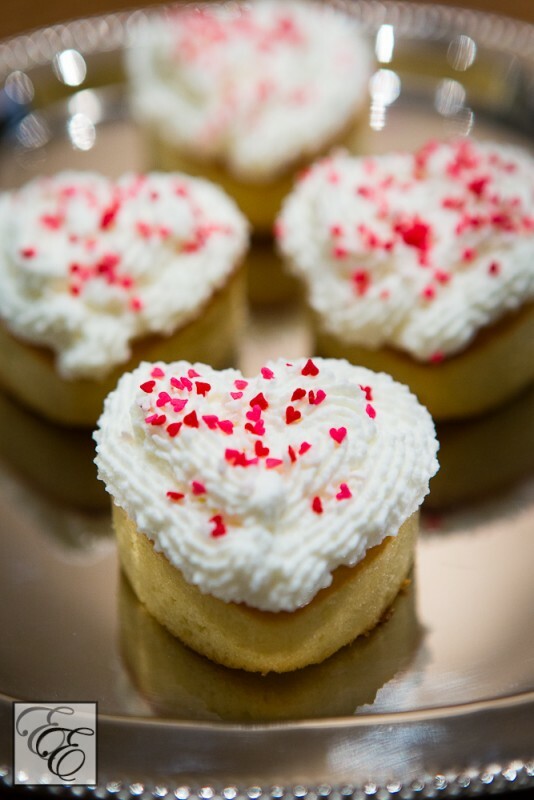 She lends her expertise and creative flavor combinations (I have my eyes set on a recipe of caramelized figs topped with foie gras mousse) that encourage personal adaptation by the home cook. I look forward to using this thoughtfully-curated cookbook over and over again, through the coming seasons and years. Bon appetit!